Dark and freezing cold mornings are tough at the best of times, but the weather can be particularly challenging if you’re working outdoors on construction sites or in houses under renovation. 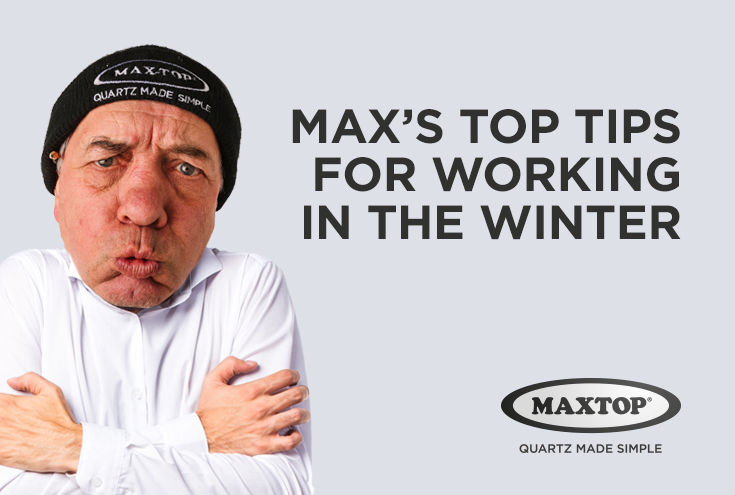 A heated office is a distant luxury for the tradespeople out there, but we’ve pulled together some tips to ensure you survive the rest of the winter. With the potential for ice, wet weather and generally more challenging working conditions, it’s very important to ensure that you are fully covered with the correct tradesperson insurance policies in place. Using a day off to go through your insurance policies will give you peace of mind knowing that you’re protected from any unfortunate incidents and your business doesn’t suffer if anything goes wrong. Public liability insurance is very important as it can cover you if you have an accident and damage a customer’s property. Your tools are essential to your work, so insuring them is crucial and you’ll cover the cost of repairing and replacing tools if they’re lost, stolen or damaged. In addition to this cover, there’s employers’ liability insurance, buildings insurance and personal accident cover, which may be worth considering. You can find comprehensive information on insurance cover here. This point might seem obvious, but when you’re running late and you’ve thrown your work gear on, it’s easy to forget your extra layers. Thermal under-layers are a life saver when you’ve dragged yourself out of bed at 5am on a frosty January morning! If you’re working outside, waterproofs are essential and anti-slip gloves will keep your hands warm whilst you can still operate your tools. When estimating timelines for jobs it’s essential to factor in the shorter daylight hours and to consider how much daylight you need during the working day for certain projects. As the evenings are longer in winter, it’s worth considering starting your day earlier so you’re not still working come nightfall! If you’re set to be working both inside and outside, try to divide your work so that you can spend as much time as you need on outdoor work in daylight hours before completing indoor work after dark. It can be difficult to get out of bed at the crack of dawn, when it’s still dark and bitterly cold, but ensuring you have enough time for breakfast is essential to a solid working day! Porridge is a great option for providing enough slow release energy to fuel you through the start of your working day, especially when the work is physically demanding. Taking a flask of soup is also a great option for a warming lunch. When the winter brings icy, snowy and wet conditions, it can be very difficult and sometimes dangerous to work in such conditions. Whilst it may be the last option, it is always worth considering downing your tools if the weather is bad enough to put yourself or others at risk of injury. At the very least, you should ensure that all tools are safe to be used. Poor weather and a sharp drop in temperature means our vehicles are much more likely to break down. This could be disastrous for your working day, so it’s wise to ensure your vehicle is ready to survive the weather. If your vehicle is due for a service, make sure it’s done before the winter, but there are a few important things you should check to save yourself from potential issues. Checking the battery is a good place to start, before ensuring the engine coolant is topped up with anti-freeze and you’ve checked tread depth and pressure of your tyres. Of course, a scraper and de-icer are essential for those frosty mornings!